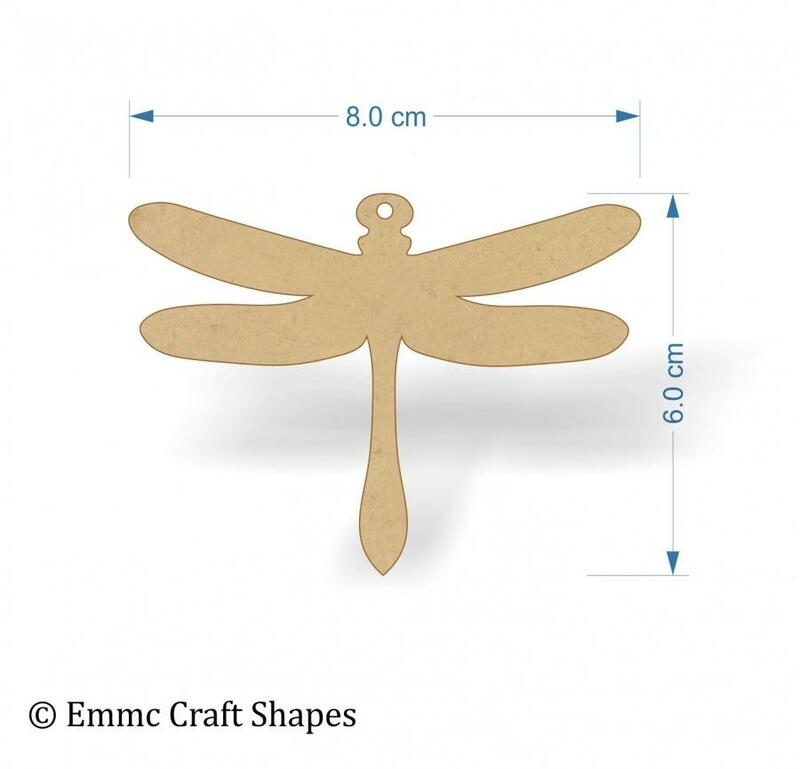 Dragonfly - A wooden craft shape perfect for many craft ideas. Please Note the 4 cm Dragonfly Shape is not available with a hanging hole option. 3 mm MDF craft tag cutout. 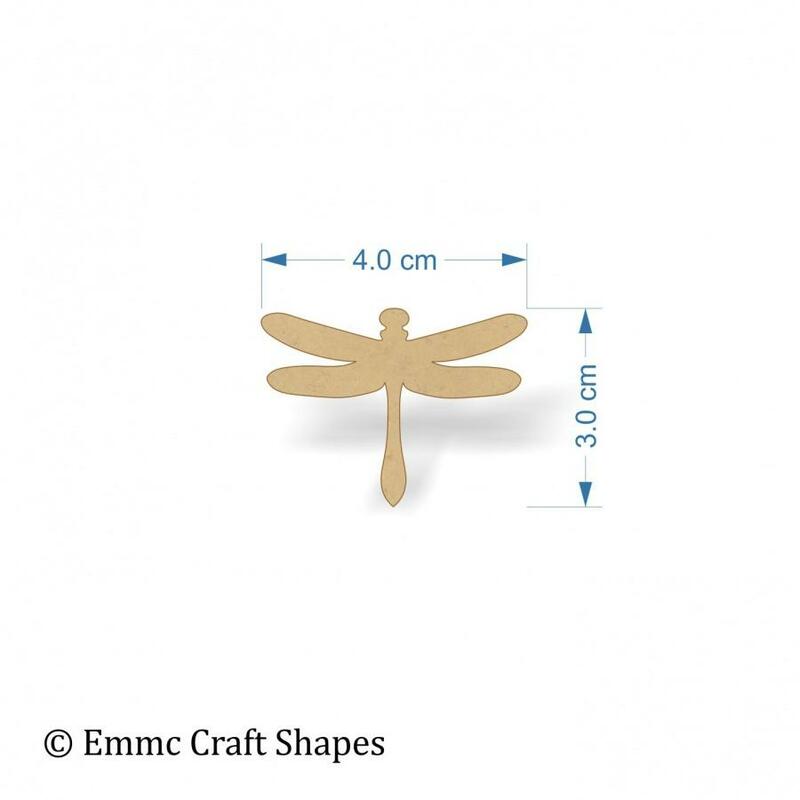 These cute mdf dragonfly shapes are perfect to paint with acrylics, cover in paper or fabric, decoupage and even add some glitter and sparkle. 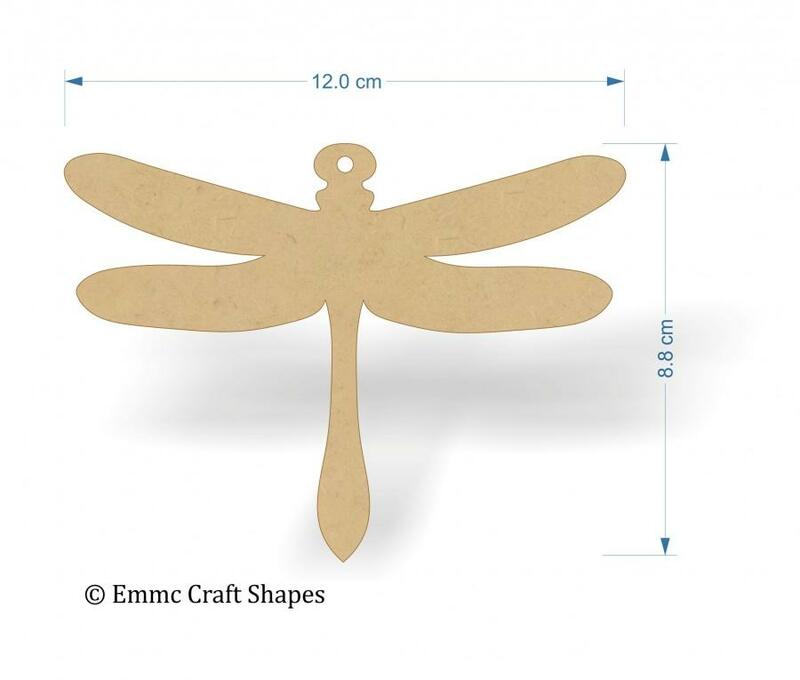 Children will enjoy crafting with these dragonfly shapes too, they can be used to decorate their rooms or toy boxes. The two larger size dragonfly shapes are available with a hole, enabling you to thread some string or wire and turn your dragonfly into a hanging. 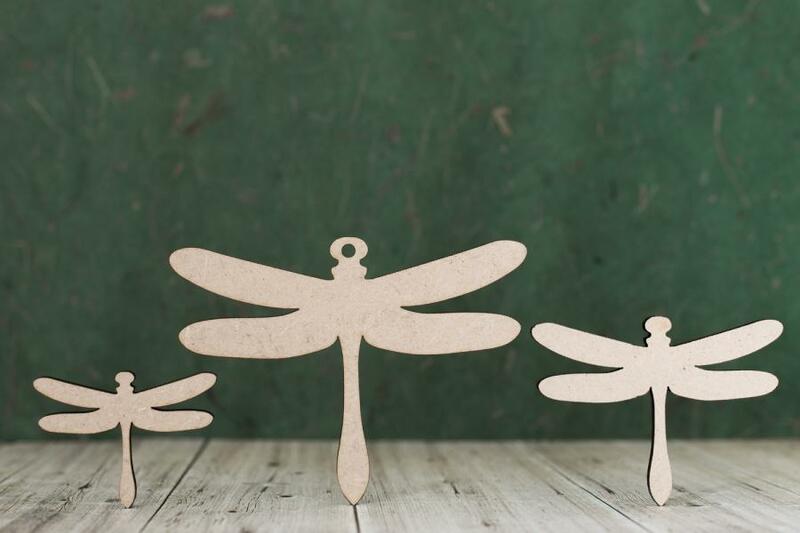 Add some other wooden shapes you have decorated and create a mobile, or hang them in your garden, a colourful dragonfly wooden shape will brighten up a plain fence or wall.